The problem of violence against women is one that I care about deeply. I’ve helped battered women get out of abusive relationships. Their stories are heart-wrenching. Disturbing. Frightening. I think of the woman whose face and arms were shredded by flying glass when her enraged husband pulled the china cabinet down. Or the husband who rolled up and immobilized his wife in their living room area rug, and then proceeded to beat her with a baseball bat. I could tell you accounts of women who were burned, punched, kicked, locked up . . . the heinous acts make my blood boil. 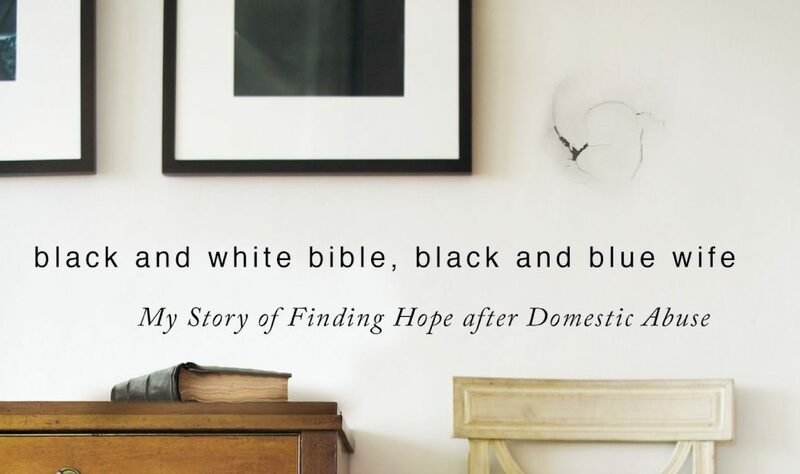 So it was with great interest that I read Ruth Tucker’s latest book, Black and White Bible, Black and Blue Wife: My Story of Finding Hope after Domestic Abuse. The title accurately portrays the two threads Ruth weaves together throughout. First, her personal story of domestic abuse, and second, her premise that the doctrine of male headship is to blame. The former is told for the purpose of proving the latter. According to Ruth, a Christian man who views the Bible in “black-and-white” terms—thinking that it puts a God-given head-of-the-home responsibility on his shoulders—is far more likely to be a wife-beater. Black and White Bible, Black and Blue Wife is a meandering narrative that is built on Ruth’s personal story, but moves back and forth fluidly between that story and her musings about abuse, legal issues, John Calvin’s theology, the ideas of various contemporary theologians, smatterings of the Bible, current events, and anecdotal accounts of other marriages. Ruth is an excellent writer, and does a masterful job of melding it all together. Ruth and her future husband, whom I’ll call “Joe” (not his real name) meet at a Christian retreat. He’s tall, dark, handsome, and the only guy who can match Ruth in the “Quote-the-Bible-Verse” game. Ruth is in graduate school. Though they’re roughly the same age, Joe hasn’t yet finished his bachelor’s degree. That’s because he was expelled from Wheaton College for cheating and for breaking into a faculty office in search of exam answers. He was subsequently expelled from Miami Christian College for some unknown reason. Wheaton College denied him re-admission. Besides his run-ins with educators, Joe has a history with the law. He was arrested for voyeurism – for being a “peeping-tom.” This sexual misconduct, he claims, was resolved through the mandated counselling process. Joe plans to be a pastor. Ruth knows that his religious views are “fundamentalist.” They have a heated pre-marital spat about the science of a literal six-day creation, but the issue of wifely obedience never comes up (p. 37). Because of the glaring red flags, Ruth’s mother strongly opposes the marriage. But to no avail. Ruth is in love. Two months into their marriage, Joe and Ruth have a heated argument about politics. Angry that she didn’t vote for the right candidate, he pushes her. Over the next few years, she sees that her prince charming has anger issues. He can be controlling, argumentative, given to moods and an ugly temper. Joe finishes his undergrad degree at Shelton College and graduate studies at Trinity Evangelical Divinity School. He becomes the pastor of a small Bible church in Woodstock. A few years later, a church elder and wife show up on Ruth’s doorstep with a local newspaper in hand. The paper reveals that Joe had been arrested for repeated theft of coffee and donut money at the county jail, where he had made weekly pastoral visits (p. 65). Joe hadn’t told Ruth about the arrest. She’s mortified. To alleviate her “wretched shame,” Ruth pressures her husband to publically confess: “He agreed (on my insistence) to preach the following Sunday night a sermon of deep contrition from Psalm 51— a sermon I practically dictated to him.” (p. 65). Joe was dismissed as pastor. However, Ruth’s “behind-the-scenes maneuvering” opened doors for him to minister part-time at a church in Crown Point, Indiana, and for further graduate studies at Grace Theological Seminary in Winona Lake, Indiana. (p. 57). At this point, 9 years into their marriage, and staying home with a pre-schooler, Ruth decides it’s a good time to take in foster children. Thirteen-year-old Deana moves in. When Ruth finds out that Joe has repeatedly come into Deana’s room at night and sexually assaulted her, the rage she unleashes against him is “virulent and deep primal.” Yet she doesn’t report Joe to the authorities. She covers up the sexual abuse. I did not report him because I knew he would be arrested, lose his job— our only income— and probably be imprisoned up to fifteen years. How would I manage with a two-year-old son? But mainly I didn’t report him because I wanted to shield myself from the humiliation of facing family, neighbors, church members. I didn’t report him for selfish reasons. I was protecting myself, and no one else. (p. 170). Ten years into their marriage, Joe and Ruth move to Grand Rapids, where both of them begin to teach at Grand Rapids School of Bible and Music. Ruth is assigned to teach a course in women’s ministries, and begins “to read the Bible differently.” (p. 73). Her stance on women’s role in marriage and the church begins to change. Ruth’s career takes off. Besides teaching courses at the Grand Rapids School of Bible and Music, she gets a prestigious job as visiting professor at Trinity Evangelical Divinity School, flying from Grand Rapids to Chicago two to three days each week. Her summers are spent teaching cross-cultural courses at a Bible college in Kenya. Ruth becomes a driving force in the Biblical Feminist movement of the 1980s, and a growing public figure in the Evangelical world. She becomes a spokesperson for the doctrine of egalitarianism, which claims that the theological/historical interpretation of the Bible is incorrect, and that the Bible doesn’t, in fact, teach male headship. This view, which was controversial at the time, becomes a flash-point in Ruth and Joe’s marriage . . . “the women’s issue itself became the catalyst for most of his frequent explosions.” (p. 73). Joe’s moods grow increasingly volatile. He rips cabinet doors off hinges, puts a dent in a refrigerator door, and bloodies his knuckles. His violence turns on Ruth. Joe’s career doesn’t go as well as Ruth’s. Six years into their teaching jobs, the president of the school corners Ruth to discuss her husband’s character. The president gently inquires whether Ruth had ever experienced Joe to be untrustworthy. Ruth lies. She tells the president that she has no idea what he is referring to, and that she regards her husband as completely trustworthy. Ruth’s vote of confidence doesn’t help. Joe is demoted and then terminated. But he somehow manages to get an editorial position at Zondervan publishers, the company for whom Ruth is co-authoring a book, “Daughters of the Church.” Was this another case of Ruth’s “behind-the-scenes maneuvering”? She doesn’t say. But she does note that her editor-husband got a hold of her manuscript and took exception to her making John Calvin out to be a feminist. She refused to make changes according to his dictates. (p.88). Zondervan becomes aware of their difficulties at home. For his interference in the publishing process, and perhaps for other reasons too, Joe is terminated from his job. The arguments and violence escalate, as does Joe’s appetite for unspecified “sordid” sexual acts. Though Ruth gives in to her husband’s sexual demands, she feels raped and violated. After one particularly ugly fight, in which Joe grabbed her and threw her to the floor, uttering threats, Ruth phones his parents. Joe’s parents are concerned, but the best advice his mom can come up with is for Ruth to stop writing about such controversial topics. In 1987, after 19 years of marriage, Ruth seeks help from the courts and from her church to legally separate from her husband. Counselling is ineffective. Three years later Joe sues for divorce. 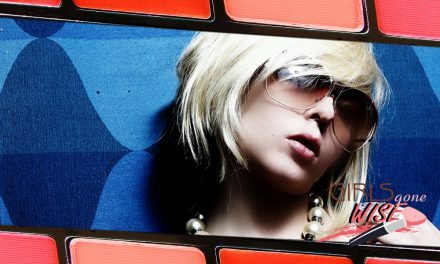 In 1994, still feeling guilt and remorse over not reporting her ex-husband’s sexual abuse of a minor, Ruth tries to track down Deana, who by that time would have been in her late twenties. Ruth wants to apologize, beg forgiveness, and maybe take Deana to Sears to buy her a new washer and dryer. But years earlier Deana’s car had slipped off a bridge in an ice storm. She died. There would be no reconciliation and no new appliances. In 2004 Ruth marries fellow Calvin Seminary professor, John Worst, with whom she experiences a happy (egalitarian) marriage. Does Male Headship Promote Abuse? The fact that Ruth egregiously covered up the sexual abuse of a minor, as well as the fact that abuse tends to escalate when it is covered up, are topics that likely warrant some discussion. However, the premise of this book is that male headship promotes abuse, so Joe’s abusive behavior is what I’m going to focus on. Joe repeatedly quoted Scripture to defend his headship and in an attempt to enforce Ruth’s unconditional obligation to submit— from “the kitchen to the bedroom.” (p. 22). So it comes as no surprise that Ruth blames the abuse on the doctrine of headship. The difficulty with an emotionally-charged narrative style of argument is that it doesn’t lend itself well to objective analysis. Ruth’s experience and her conclusions are so tightly wound together that it’s difficult to separate the two and determine whether the one logically follows the other. Furthermore, those who question the validity of her conclusion put themselves in the precarious position of being accused of questioning the validity of her experience, of being unsympathetic, of victim-blaming/shaming, or of condoning abuse. If I were a male who took exception to Ruth’s conclusion, I’d hesitate to even attempt a critique of her book. But because I’m a woman, I believe I can ask the question: Was it truly the doctrine of male headship that caused Ruth to be abused? Or was something else to blame? I’ve seen all sorts of doctrines twisted and used as justification to support sinful behavior: the doctrine of trust and generosity to bilk churchgoers out of money, the doctrine of truth-telling to justify slander, the doctrine of joy to justify adultery, the doctrine of abundance to justify greed. Jim Jones used the doctrine of social justice to force his followers to drink the kool-aid. So do we toss these doctrines out the window because some people use them in a twisted and destructive manner? Or do we recognize that sinners will use whatever justification they can to excuse their sinful behavior. Ruth’s experience led her to believe that the doctrine of headship promotes abuse. But my experience with abuse leads me to believe that women in egalitarian relationships are at a far higher risk than those with husbands who sense a responsibility to provide loving, protective headship. 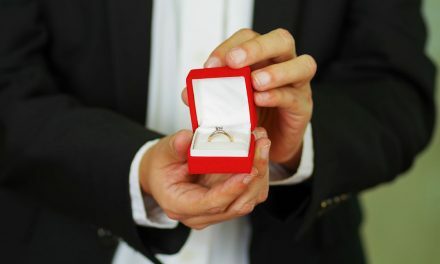 I could tell you dozens of heart-wrenching stories to persuade you that the further away a couple wanders from God’s pattern for marriage and the doctrine of loving male headship, the higher the risk of abuse. So Ruth’s experience and my experience testify to the exact opposite conclusion. Which is why experience and emotions are an unreliable source for debating the veracity of a premise. It’s a sad day when reason is ignored and a conclusion accepted purely on the basis of who tells the best story and evokes the strongest emotion. Hmm. The wording is somewhat leading. It implies that the doctrine of male headship is the primary “cover” that Christian men use to perpetrate violence against women, and implies that the “cover” is in fact the “cause.” Have I witnessed some men use the argument of wifely submission to justify abuse? Yes I have. It’s deplorable. But I’ve witnessed them use the cover of egalitarianism too. Abusive men use whatever cover they can to justify their violent sinful behavior. A better question would be, “Can we come together as a Christian community—complementarians and egalitarians—and stand together against abuse?” It’s a question Wayne Grudem and I asked Catherine Clark Kroeger and the Council for Biblical Equality (CBE) board on behalf of the Council on Biblical Manhood and Womanhood (CBMW) in the mid-nineties when I helped draft CBMW’s Statement against Abuse. Sadly, CBE’s answer at the time was a resounding no. CBE didn’t want CBMW to stand with them against abuse. I suspect they only wanted to blame CBMW for it. Can Two Grandmas Come Together? Ruth, we’ve stood on opposite sides of the woman’s issue for decades—since you first published on the topic in 1987 and me in 1990. I highly doubt whether CBE and CBMW would ever work together on this, though I can’t say for sure. At this point, my involvement with CBMW is peripheral at best. So even though it’s unlikely that those organizations would come together to stand against abuse, it doesn’t prevent you and me from doing so. We could. You and me. 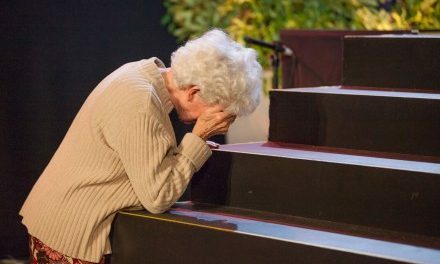 Two Grandmas who love the Lord, love women, and deplore abuse. We could come together. We could do it for the sake of our daughters, grand-daughters, mothers, sisters, and friends. I’ll fly anywhere in North America at my own expense to meet you. We’ll hash out a Ruth and Mary personal statement. I suspect we’ll really like each other . . . we’ll sip frothy cups of cappuccino, laugh and cry, share stories (and pictures of our grandbabies) and become friends. And perhaps that, in and of itself, will make a difference. NextDoes a Husband have the Authority?